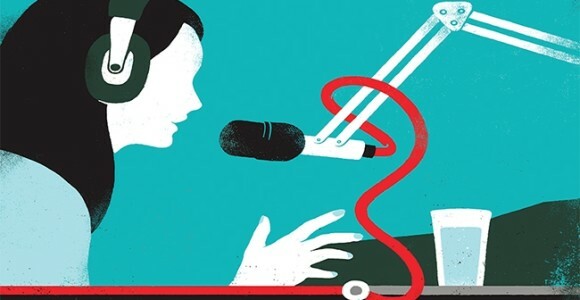 (from Billboard Magazine, November 16, 2013) A recent innovation in radio broadcast stations, once thought to hinder them, has become a widespread and successful means of grabbing their audience’s attention in the digital age. An example of this premiered this past September when BBC Radio posted a YouTube video of an hour-long interview with Kanye West. This posting led to the making of a parody video by late-night talk show host Jimmy Kimmel. The actions that followed led to 3.5 million views on the original interview by BBC. More and more broadcast radio stations are turning to their YouTube channels to reach a larger listening audience worldwide, and many with great success. According to YouTube Content Partnership Director Vivian Lewitt, “Some stations are seeing significant audience growth on YouTube, as high as 30 million viewers a month by reformatting their content as online video and extending their transmitter’s terrestrial reach.” In the past, few stations were met with success on the video medium. For many, the process and equipment used in publishing regular online videos was too steep. However, since YouTube’s debut in 2005, producing online videos for a global audience has become faster, cheaper, and easier than ever. Although a station’s geographic reach might remain limited, these innovations allow listeners around the world to tune in live through their laptops, mobile phones, and tablets. “It’s given every radio station a way to become their own MTV channel,” says Ron Davenport Jr., Chairman of Sheridan Broadcasting. Aside from interviews like BBC’s with Kanye West, radio stations have chimed in on what video content really sparks the attention of their ever-growing audiences: DJ rants, mini documentaries, and promotional content. However, several stations do still face one particular challenge in their YouTube outreach: consistency. Can they provide a constant stream of videos that not only capture their viewers’ attentions but also keep them thus creating a growing online fan-base?